Another part of the popular series of hockey simulators, in which we manage licensed and realistic teams and players. 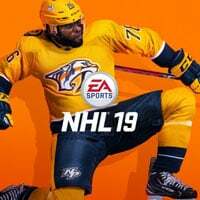 Like all previous parts, NHL 19 was created by EA Sports studio. The next installment of the popular series of hockey simulators from EA Sports, the first part of which was released in 1994. Players again receive the opportunity to play matches, games and tournaments involving licensed teams. The production offers modes for both a single player and several people. NHL 19 is a comprehensive hockey simulator. As befits the games in this series, players are given the opportunity to play matches and tournaments with the participation of licensed teams from the world's most famous league (American National Hockey League). The matches are realistic and reminiscent of the struggles of real athletes. EA Sports has made a few changes in the game compared to the previous edition. One of the biggest changes is the ability to play games under open sky. The gameplay is also influenced by Real Player Motion technology, thanks to which we gain more control over our team and new ways of gaining speed. Combined with the new physics engine responsible for collisions between players and objects, it yields an incredibly realistic and satisfying effect. Players also have the opportunity to create their perfect player, who can be dressed and equipped with more than 900 items. In NHL 19 we can play alone or in the company of other people. You can play in career modes (leading a single player or the whole team), tournaments, single matches, as well as taking part in a wide range of multiplayer games. There are new modes such as NHL Ones (single player - 1 vs. 1 vs. 1) and Pro-Am. The Hockey Ultimate Team mode also returns. Thanks to the use of the new version of the Frostbite engine and Real Players Motion technology, the title is characterized by a highly realistic graphic design full of details. Models and animations of both players and stadiums present the highest world level. The games are accompanied by professional sports commentary.